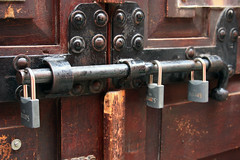 Are we locking down on innovation? The situations in which Natural Resources Minister Lisa Raitt and senior staff at eHealth Ontario have found themselves in recent weeks have provided the fodder for numerous public accountability headlines. Much has been said about the extent to which a politician must take responsibility for the actions of the civil servants within their portfolios. Absent from this discussion is the inevitable risk that accompanies the triumvirate of change, technology and innovation that is at the centre of these cases. The danger is that the calls for public accountability encourage risk-aversion and conservative policies. Continuing further down this road would be most unfortunate for Canada. At the core of both cases in question are extremely complex technologies in the form of nuclear technology and electronic health records, both of which demand significant change within and the deployment of sophisticated technologies by the public sector. Whether the politicians or their civil servants are doing something that can be deemed inappropriate or worse in either case is irrelevant for this blog post. Instead, these cases here serve as a timely backdrop to something much more important in the relationship between Canadians and their government. We – the media, voters and the political opposition – need to accept the presence of risk in the public sector. And not because we don’t want politicians and bureaucrats to do their jobs properly or to manage taxpayers’ money carefully. Instead, we must accept the presence of risk because we desperately need a public sector that has the appetite and capacity to confront the increasingly complex challenges with which we are faced. The capacity to innovate within government must be developed over time and part of that development must accommodate and learn from the inevitable mistakes that come with innovation. This short list alone should make it clear how dearly we need a public sector capable of innovating. So, why is this important to MaRS? At MaRS, we help entrepreneurs with innovative ideas build sustainable companies. Some of the entrepreneurs who come to us only have a concept to work with, while others have a business ready to face the demands of the marketplace. Governments and their agencies around the world play a significant role in this marketplace as large buyers of technology. For instance, in 2008, the US Department of Defense alone made up over half of the overall market for RFID technology, which is still a relatively early-stage technology. Several start-ups at MaRS are looking to the public sector to be early adopters of their technology, including defense, health care, emergency services. For this to happen, we need a public sector with a clear mandate to innovate as well as politicians and bureaucrats who are willing to take risks. In essence, entrepreneurs and their new technologies offer radically different ways of solving problems — it is the possibilities these new approaches entail that could be embraced by our public leadership and bureaucracy. Now, this does not mean that the electorate and the media should give the public sector carte blanche as they go about and create the next generation of public services.The challenge is for the public sector and politicians to earn enough of the public’s trust that they will accept public sector mistakes in the pursuit of innovation. And how would they earn that? High levels of governance and transparency should create the climate of openness that might just allow the public to understand the challenges that governments face and thus the necessary ups and downs that accompany risk. This environment of openess, engendering understanding, mutually serves the market needs of entrepreneurs as well as public sector’s need to innovate.